Watch Suits Season 7 Episode 10 online via TV Fanatic with over 7 options to watch the Suits S7E10 full episode. Affiliates with free and paid streaming include Amazon, iTunes, Vudu, YouTube Purchase, Google Play, Amazon Prime, and Verizon On Demand. 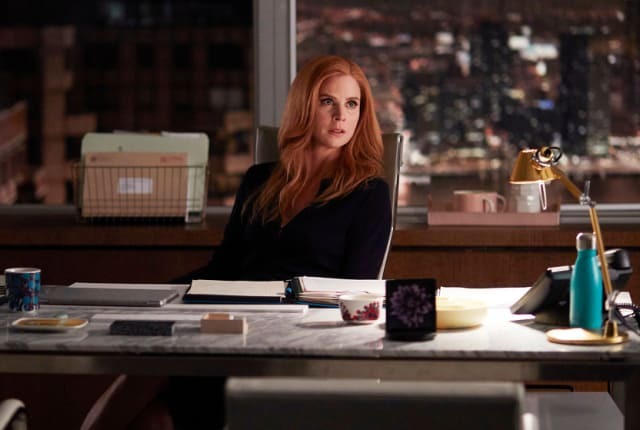 On Suits Season 7 Episode 10, Rachel worries about her father's judgement, while Louis helps Alex, and Mike and Harvey have their backs up against a wall.